I’ve been enjoying getting back into cooking after all being away for some time at Christmas. The family have been requesting meals they have missed – simple, healthy, fresh foods, plus the kids favs of pasta and cheese! We haven’t had curry over Christmas, which is pretty much unheard of. This is a healthy take on curry, packed with veggies and using mung beans too. 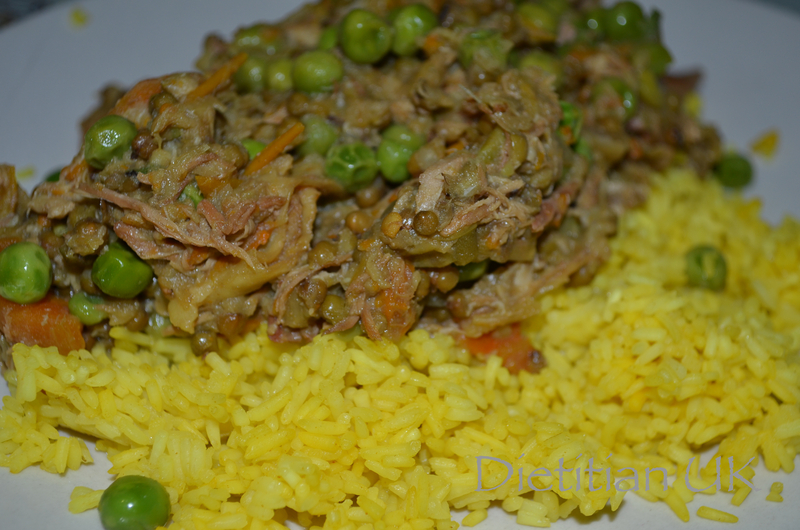 The mung beans provide an extra protein source so your meat goes further. They also lower the glycaemic index of the dish and increase the fiber so will keep you fuller for longer. The vitamin C is also an added boost in these colder months, being an antioxidant it helps fight infections and illnesses. I’ve cooked this in a slow cooker, but you could use a casserole dish in the oven at Gas Mark 4 or simmer gently on the hob. A slow cooked, healthy curry cooked from scratch the authentic Sri-Lankan way. Heat the oil in a small pan, add the coriander, tumeric, cinnamon, cardomon pods and onions. Cook for a few minutes, coating the onions in the spices. Add the ginger and garlic. 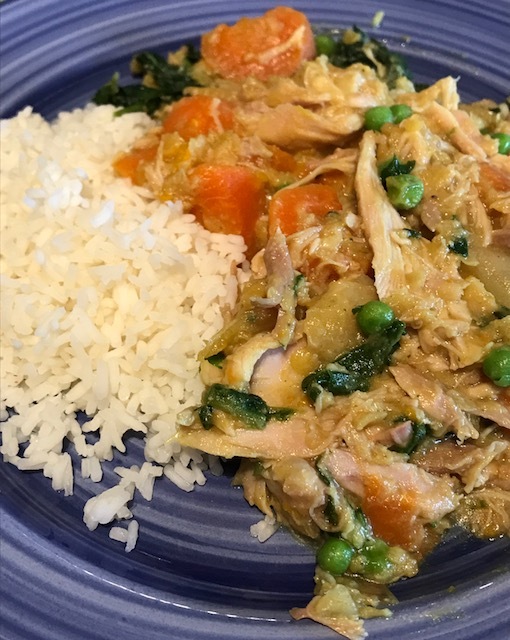 Place into the slow cooker along with the chicken thighs, mung beans, chopped vegetables, frozen peas and pour over the chicken stock.